The Transfer news window for all Europe big five league that is closed but that doesn't stop the transfer from exploring around to find out who will be moving where come in theses coming January. Inter ready to step up Martial interest ? 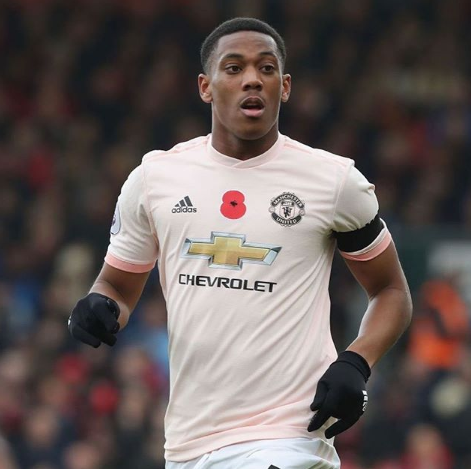 Inter Milan want to make contact with Manchester United forward striker Anthony Martial as his Old Trafford contracts stand off to continues where the reports also ensure that Martial is out of the contract in the summer with United having an option to increase his deal by 12 months,but his view in his current club are interested to keep him according to the inter sporting director Piero Ausillo . The reports in the september said that Inter could try to break the long term deal for France International Martial that would help to see Ivan Perisic to go to other way. this indicated he would opposed to sign the new terms after falling out with favourable with the mangaer Jose Mourihino but he has to score with in five goals in five Permier Legaue games.